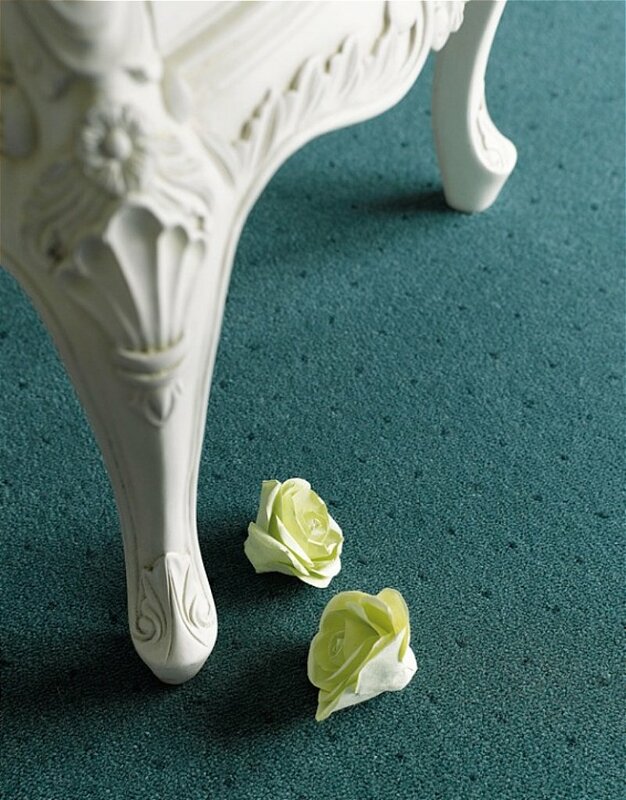 Launched in late 2011, this is an over tuft range with classical looks and elegant beauty. It has a 40oz pile weight, which will stand up the demands of most domestic installations. It has been made with the finest 2-ply yarns to ensure durability and appearance retention. It has two options, a trellis and a pin dot. I would like more information about Catherine Pinpoint Oriental Jade Carpet by Adam Carpets.